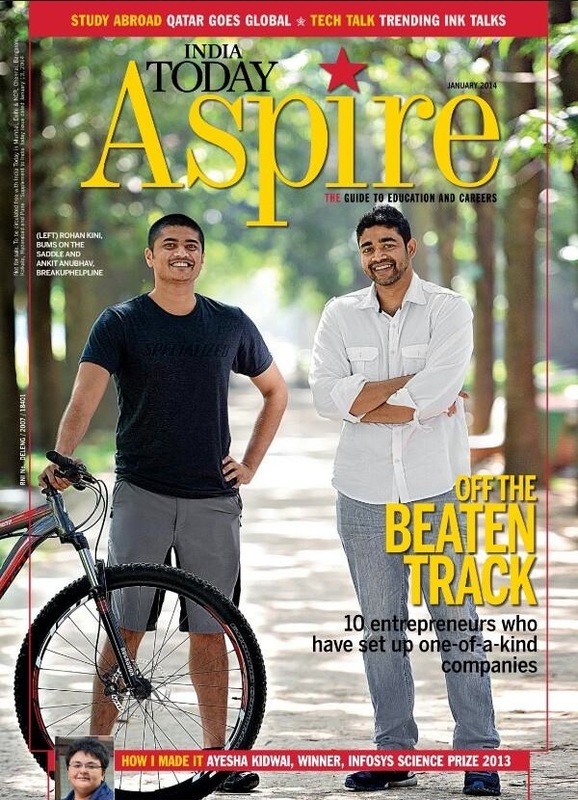 BumsOnTheSaddle on the January edition of India today Aspire as a part of their “off the beaten track” writeup on the top 10 one-of-a-kind companies! 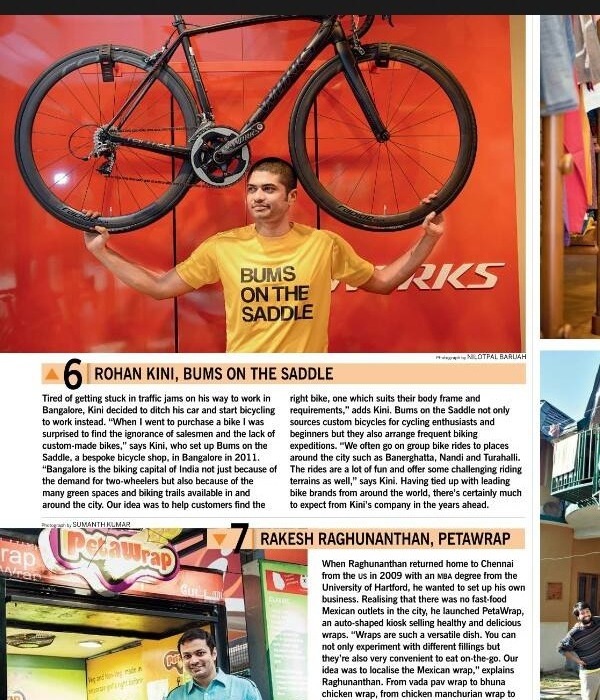 Rohan standing in front of the S-Works wall hanging onto one of the most expensive bicycles in the country! Great reading up about the other 9 folks leading innovative, interesting stuff companies making a difference and bringing joy to people around them! Exactly what we started doing off BOTS for.